Should You File Taxes Jointly If You're Married Without Children or a Mortgage? The decision to file jointly or separately depends on a couple's circumstances. 1. What Is the Difference Between Single & Married Tax Deductions? 2. Can You Itemize if You File Married Filing Jointly? 3. Can I Claim Head of Household & My Spouse Take a Standard Deduction? 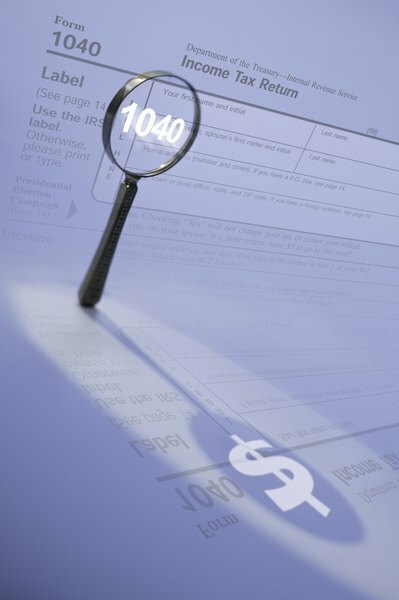 Married couples have the choice whether to file joint or separate tax returns. Most file jointly -- whether or not they have children or a mortgage -- and for most couples, filing separately would result in a larger tax bill, because IRS rules eliminate or reduce certain tax deductions and credits for married couples filing separately. In some circumstances, however, filing separately may be the better option. The decision must be based on your own unique circumstances. For a childless married couple without a mortgage, the deduction rules affecting children and mortgages are irrelevant to the decision whether to file jointly or separately. But a decision to file separately will affect a number of other credits and deductions the couple may be entitled to take. For instance, if you file separate returns, neither you nor your spouse can take the earned income credit even if you would otherwise qualify for it. Married couples who file separately cannot take advantage of education-related tax breaks. Neither spouse can claim the American opportunity credit or the lifetime learning credit. Neither spouse can claim a deduction for student loan interest or for college tuition and fees -- nor can either spouse exclude from income the interest on U.S. savings bonds cashed in to pay college expenses. The tax rules for married couples who file separately require that both spouses must either take the standard deduction, or both must itemize. The IRS won’t allow one spouse to itemize while the other takes the standard deduction. If they both take the standard deduction, each spouse can deduct only half the amount allowed on a joint return. The credit for retirement savings contributions and deductions for investment losses will be half those allowed on a joint return. You will lose the elderly and disabled credit. And if you file separately and had an adjusted gross income greater than $10,000, you can’t deduct any of your contributions to a traditional individual retirement arrangement or contribute anything to a Roth IRA if your spouse lived with you at any time during the year. There are circumstances where separate filing may be the better choice. For instance, if one spouse paid major deductible expenses that are limited by adjusted gross income, separate filing can reduce the income thresholds for that spouse and give a larger deduction. Income-limited deductions include medical expenses, limited in 2013 to the amount exceeding 10 percent of AGI and miscellaneous deductions limited to the amount exceeding 2 percent of AGI. Or, if one spouse faces a big tax liability because of insufficient withholding or payments, filing separately absolves the other spouse of any responsibility for the taxes owed. SmartMoney: Should Married Taxpayers File Separately? Can I File as Single and Head of Household if I'm Still Married but Estranged? Can I File Separately if I Am Married & Filed Jointly in Previous Years? Can I File Married Separately & Deduct the Mortgage While My Spouse Claims the Standard Deduction?